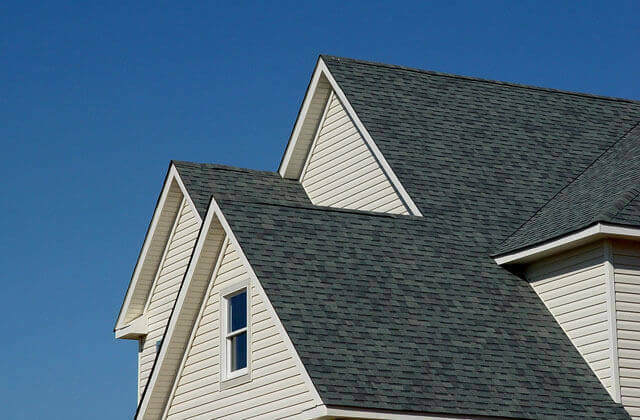 At S&L Roofing, we specialize in residential roof inspection, maintenance, and repair, and have decades of experience performing these services on all types of home roofing systems in Orange County and throughout South Orange County. 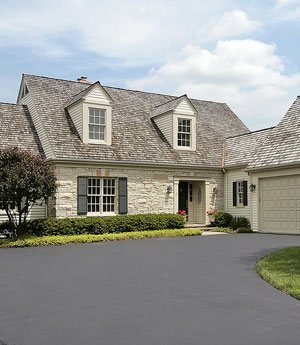 Over the years, we have provided our exceptional quality, affordably priced roofing services to 1000's of satisfied homeowners throughout our service area, and possess the knowledge and expertise necessary to resolve any and all home roof maintenance and repair issues in an efficient and cost-effective manner. At S&L Roofing, we perform all of our competitively priced roof maintenance and repair services with the long-term health and functionality of your Orange County home's roof foremost in mind. No repair job is too small for our skilled and experienced roofing professionals, and we pride ourselves on getting to the source of your roof's problems, and then resolving these issues in the most effective and affordable method possible. We carefully match our roof repairs to the roof's existing roofing material, and precision-install all roof repairs to blend perfectly with the roof's existing design layout. Call us today, and depend upon the roofing inspection, maintenance, and repair specialists at S&L Roofing to keep your Orange County home's roof in the best condition possible, at very competitive rates. We provide our affordable roof inspections to all of South Orange County, and offer free onsite maintenance and repair estimates throughout our service area. 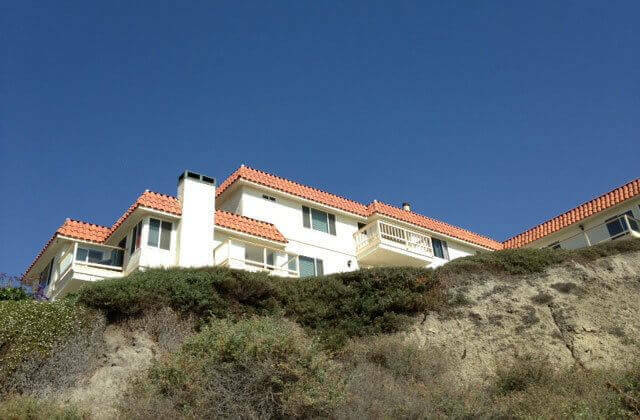 Orange County wood shingle roof systems suffer weathering due to the elements. When they become wet due to rainy or foggy weather, they have a tendency to dry unevenly. And this uneven moisture content within the shingle: dry on top, wet throughout the underside of the shingle, leads to shingle curling over time. To compound the problem, curled wood shingles do not shed water properly, further inhibiting roof dryness, and also, they cause the underlying paper layer beneath the shingles to be exposed, leading to the formation of roof leaks. Orange County homes with composition shingle roof systems are generally low maintenance. They have Class A fire resistance, but do have one area of roof weakness: the ridge cap. Damaged ridge caps on composition shingle roofs provide an entry point for water to enter the roof and travel beneath the shingle layer, leading to the formation of roof leaks. Over time, wood shake roofing systems in Orange County fall prey to the weathering effects of sun, wind, and rain, disintegrating to the point that the paper underlayment beneath the wood shake layer becomes exposed. The newer wood shake roofs are treated to be Class B fire rated, but this fire retardant treatment causes the shakes to weather even faster than non-treated wood shakes, greatly shortening roof lifespan. 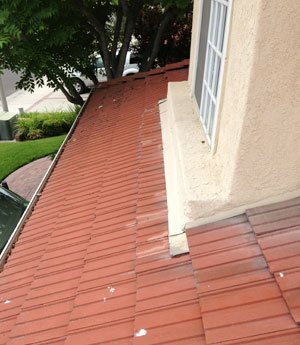 Clay and cement tile roofs in Orange County are often not installed using the best methods possible, which can lead to roof problems such as tile slippage, exposed felt, and consequent roof leaks as they age. Over time, tile mortar tends to crack and corrode, and must be repaired or replaced. In addition, the buildup of debris on tile roofs in roof transition areas can inhibit proper roof drainage and lead to eventual roof damage. Ponding water is a major problem for gravel and cap sheet flat roof roofing systems in Orange County when the gravel and cap sheet layers become damaged. This standing water will seek exposed nail holes and any other poorly sealed roof penetrations on damaged gravel and cap sheet roofs, leading to roof leaks. 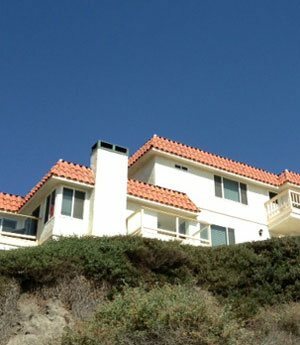 We believe that proper roof maintenance is vital to the longevity of Orange County roofing systems. 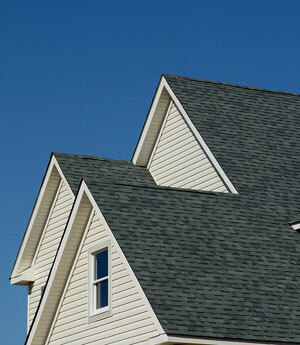 This is due to the fact that all types of roofs weather over time, depending upon their degree of exposure to the elements, though in general, inorganic roofing materials such as composition shingle and cement tile and shake tend to deteriorate more slowly than organic roofing materials such as wood shingles and shake. In addition, certain air quality conditions can accelerate this deterioration process. For example, air pollutants and salt-laden coastal air can speed up roof deterioration. 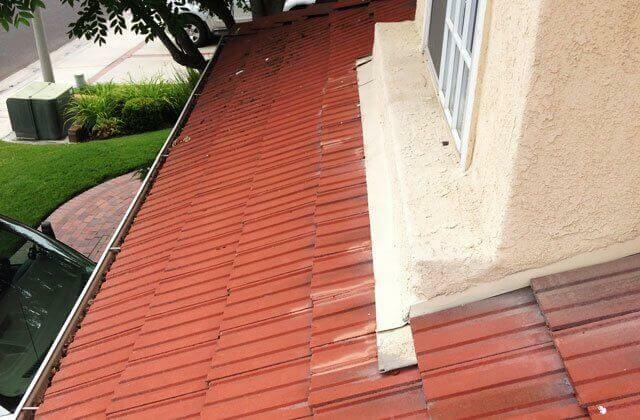 Roof flashings also suffer weathering issues, resulting in the development of roof problems in Orange County roofs. In fact, many early problems in newer roofs are due to flashing issues, which can be easily remedied by repairing or replacing the flashings. Most of these problems are the result of faulty flashing design or installation procedures when the roof was installed, and need to be corrected to resolve any related roof problems. The purpose of flashings is to serve as a watertight barrier around roof penetrations and areas of roof transitions, particularly in roof areas which are major areas of roof drainage. And while flashings should be designed to last for as long as the roofing materials used in the field of the roof, this is often not the case. 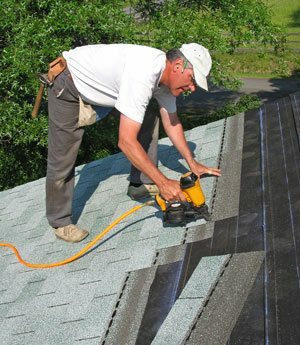 Flashings are a vital part of any roof, and are also one of the most vulnerable roof components. For this reason, it is extremely important that they be maintained properly. S&L Roofing's comprehensive home Roof Tune-Ups are designed to alleviate potential Orange County residential roof issues before they even have a chance to develop. During our home Roof Tune-Ups, we carefully assess every aspect of your home's roofing system, and determine which maintenance and repair services are needed, if any, to keep your roof in optimal condition. Don't neglect your roof until major problems develop, call S&L Roofing today to schedule an affordable Roof Tune-Up. Concentrate on typical roof problem areas, especially those around: skylights, solo tubes, plumbing vents, kitchen exhaust vents, b-vents from water heaters and furnaces, chimneys, air vents, roof transitions such as parapet wall connections and roof to wall connections, roof drains, roof scuppers, crickets, and valleys. Look for damaged or missing shingles and shakes; broken or slipping tiles on tile roofs. Check for bubbling or blistering on flat roofs. Evaluate the integrity of the roof's ridge cap. Check the condition of the roof's sheathing. Look for dry rot or termite damage. Assess whether the roof has debris buildup which could hinder proper roof drainage. Then, we recommend our affordable roof maintenance and repair services as needed to remediate any problem areas, always keeping the long-term health of your Orange County residential roofing system foremost in mind. 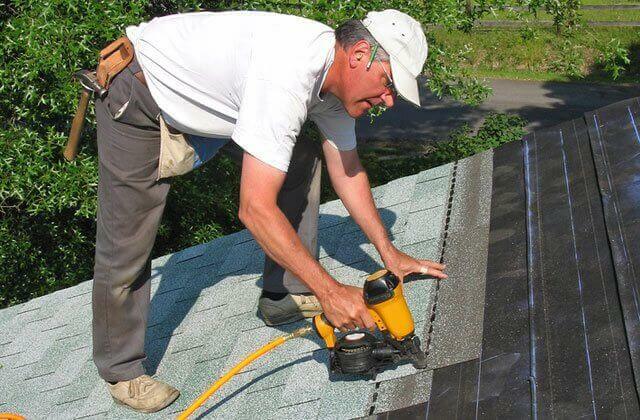 Depend upon S&L Roofing, Orange County's affordable roof maintenance and repair specialists. We service all of South Orange County. Don't wait until your roof is experiencing troublesome roof issues. Contact us today.